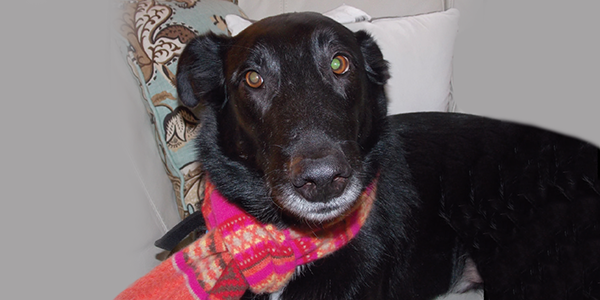 My name is Lucky and I am a loving, soulful and gregarious dog. I was living in a shelter when a kind lady named Charlotte Wilson rescued me. She adopted me and gave me a secure home that makes me feel very "lucky" indeed. I like to lie on the deck and watch squirrels, watch TV on the sofa and nap in lots of different places. Occasionally I have a bath and get my nails done. It beats me why women enjoy those things. Clean isn't as comfortable but people seem to like me better so I go along. I must like people more than most dogs because whenever we go to the dog park I like to sit on the benches with people, chat and get petted! If they really like me I sit on their laps and lick their faces. Apologies are expressed which is silly; I've done nothing wrong and people just say I'm a really friendly dog - which I am! So friendly and lucky - that's me - but only because lots of good people were there to help me. Charlotte got the ball rolling and it has built momentum ever since. She decided to establish multiple scholarships at Kirkwood Community College, one of which is structured to meet the growing demand for educated shelter workers who care for, advocate and understand the unique needs of homeless animals. And her support for these scholarships continues as I've watched her put envelopes in the mailbox addressed to Kirkwood. She tells me they are gifts made in tribute to, or in memory of, some of my closest friends - and that always means a lot to me! Charlotte is a remarkable person who recognizes that exceptional training leads to exceptional care - for all kinds of animals. She understands the critical nature of this cycle and talks frequently about the outstanding animal health programs at Kirkwood. I pay special attention to these conversations because I know students face lots of hurdles. A special "lift up" may remove barriers that stand in their way - just like the "lift up" Charlotte gave to me. "The Lucky Wilson Scholarship will help me continue to pursue a goal I have had since I was a little girl. I'm very lucky to be accepted into the veterinary technician program, and I will graduate, then start a career. The Lucky Wilson scholarship is making a difference in those career plans by helping me move forward in my education, and to face a challenge every college student encounters. I am very thankful for the chance to meet that challenge." Bailey Jedlicka. Thanks, Bailey, and thanks to each of you for reading my story... there are so many of us waiting for your help.